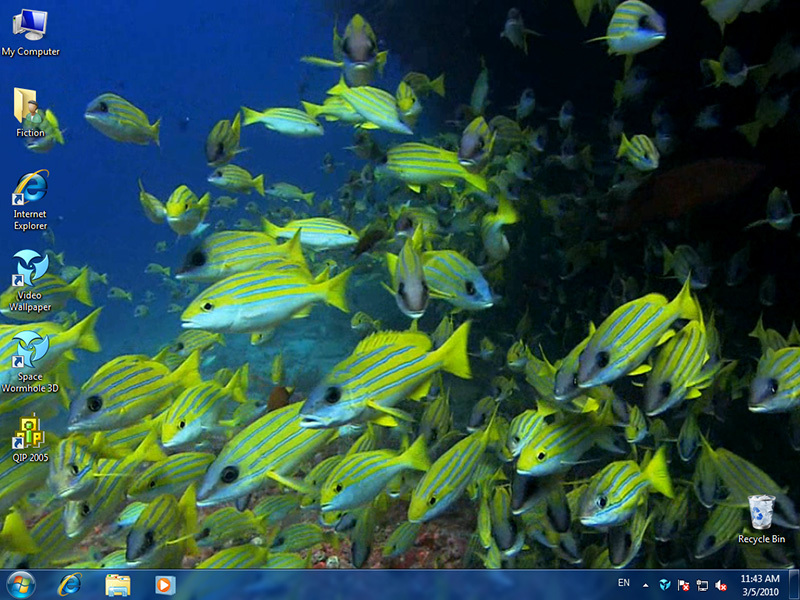 Video Wallpaper allows you to place video wallpapers on your desktop underneath the icons. Video Wallpaper will allow you to use Windows Vista Ultimate DreamScene video wallpapers as background wallpaper on any version of yours Windows XP, Windows Vista and Windows 7. You can create playlists of your favorite video wallpapers. Video Wallpaper is also an screen saver which will show your favorite video wallpapers when yours computer is not used. Video Wallpaper can place video wallpapers on your desktop! Decorate your Desktop with this beautiful video wallpaper of an Atlantic Coast. Qweas is providing links to Video Wallpaper 2.47 as a courtesy, and makes no representations regarding Video Wallpaper or any other applications or any information related thereto. Any questions, complaints or claims regarding this application Video Wallpaper 2.47 must be directed to the appropriate software vendor. You may click the publisher link of Video Wallpaper on the top of this page to get more details about the vendor.